Can I Change a Guilty Plea? 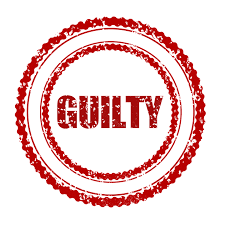 Although it should go without saying that no guilty plea ought to be entered in any criminal case unless all the evidence has been considered – as it is not easy to later change a guilty plea. But regrettably, we see an increasing number of people, who have attended court alone, being pressured into entering a plea without having had the advantage of legal advice. Many people believe it is a straightforward matter to change a guilty plea and enter into a not-guilty plea instead. However in reality reversing a guilty plea can often be very difficult and requires a carefully crafted legal argument to be presented to the court. Ordinarily, a court will only set-aside a guilty plea if it can be shown that the plea is equivocal (uncertain) in the first place. Other factors, such as being influenced by a belief only a guilty plea would secure bail, may also result in a plea being judged as equivocal. In a number of recent cases, a plea has been treated as equivocal where the defendant was not informed of a legal defence that was available to him, resulting in convictions being set-aside. To discuss anything to do with equivocal pleas please contact us on 020 7388 8333 or email info@tuckerssolicitors.com and we will gladly assist.